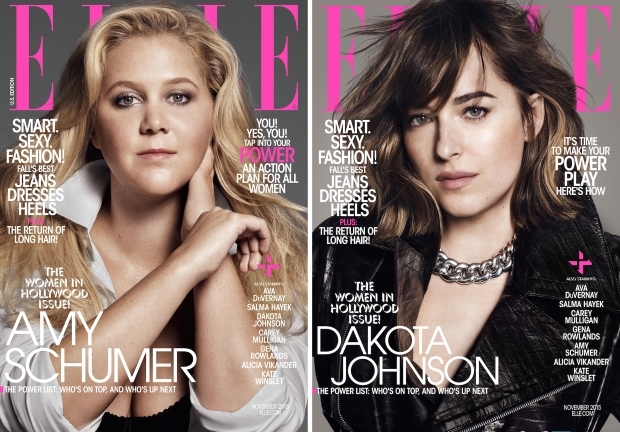 ELLE took a huge risk last month by using an unconventional cover image for its October offering. 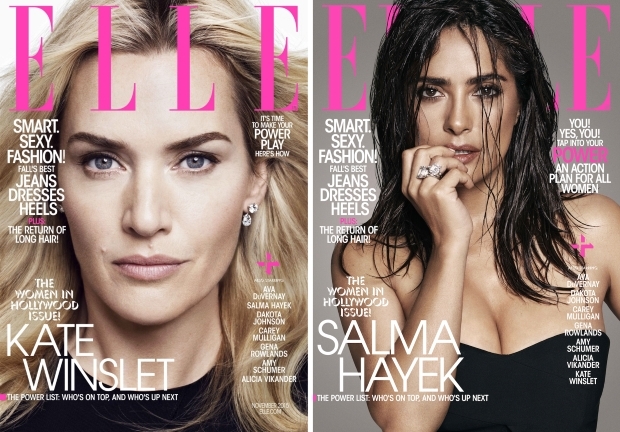 Now, ELLE is back to the usual tricks for its annual Women in Hollywood Issue, securing eight separate covers and features with a handful of personalities. Kate Winslet, Salma Hayek, Amy Schumer, Dakota Johnson, Alicia Vikander, Carey Mulligan, Ava DuVernay and Gena Rowlands each front the issue, leaving us to choose whose cover is best. So, which one came out on top? “Kate Winslet’s cover is everything I’ve been missing recently, from mainstream titles. Just a great close-up shot of a beautiful face with real character, something that’s so simple yet so striking,” appreciated tigerrouge. “All three covers are nice, but Kate’s is a real standout, love the close-up! Salma’s is lovely but to me it looks more appropriate as we get into the summer months, not winter,” added justaguy. Not everyone was impressed, however. “No. No. No. All covers for me are disasters! I don’t like these close-ups. Where is the fashion here? And it’s really hard to recognize Salma!” pointed out a frustrated narcyza. “Most of the covers are boring, very run-of-the-mill, and not memorable like many of their previous Women in Hollywood covers,” noted a disappointed t-rex. See all the covers for yourself, check out the rest of the content inside our thread here and don’t forget to leave us a comment.